Old Catton, previously Catton, was at one time a small independant village some 4 miles north of Norwich. Nowadays it has been subsumed within the greater Norwich area and is largely a suburb. 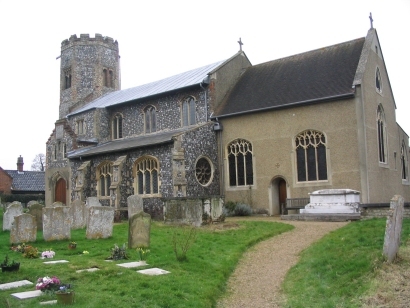 The population expanded greatly during the period of this transcript and the parish of New Catton was created partly from Catton and partly from the parish of St Clement in Norwich, in particular that part without the city wall. 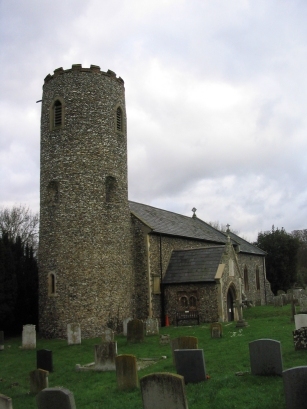 St Margarets is still very much the old village church, despite its newer surroundings, and from its 12th century tower to the rest largely perpendicular it is reminiscent of its more rural past. This transcript was completed from microfiche 3 to 5 of the Old Catton collection of the Norfolk Record Office. Throughout the filming was very good although, as is usual, some incumbant's hands were testing in particular in the earlier portion of the transcript. Whilst every care has been taken there could be errors introduced through these poorer entries.